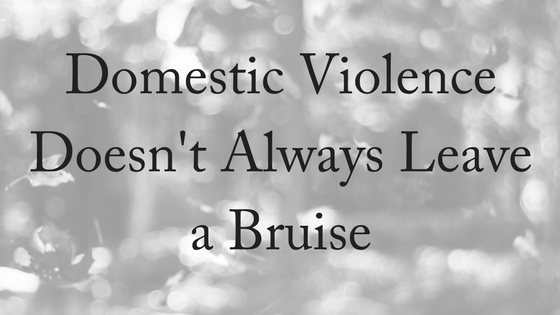 Domestic violence doesn’t always leave a bruise, especially when it’s emotional domestic violence. In fact, sometimes there are no physical marks on a domestic violence victim. 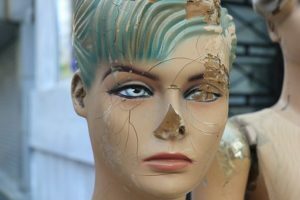 Abusers may seem charming and thoughtful, but underneath lies a dangerous need to control their partners. This is what is known as emotional abuse. Domestic violence is all about control. Perpetrators will use any means available to them to make sure that their partner behaves exactly as they want them to. Some might turn to physical violence. But some use other forms of abuse: psychological, sexual, financial and emotional abuse to control and intimidate. With many victims of domestic violence, the instances of physical abuse are isolated. What is consistent for domestic violence perpetrators is the pattern of ongoing controlling and threatening behaviour. 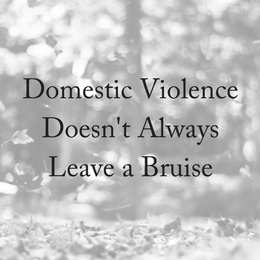 The victims of domestic violence have to deal with much more than occasional physical abuse. They deal with constant fear and a stream of emotional and psychological abuse. Emotional domestic violence is just as damaging as physical violence, and more insidious. Domestic Violence NSW CEO Moo Baulch said emotional domestic violence often left deeper scars than physical violence. “Many women who are survivors of domestic violence say the non-physical abuse, the manipulation of power and control and the financial abuse, are often a lot harder to recover from than the physical abuse. . . Women will say the scars and often horrific injuries will heal, but emotionally they live with the impact often decades later,” said Ms Baulch. In England and Wales, the Crown Prosecution Service can now bring charges where there is evidence of repeated, or continuous, controlling or coercive behaviour within an intimate or family relationship. The CPS said abuse can include a pattern of threats, humiliation and intimidation, or behaviour such as stopping a partner socialising, controlling their social media accounts, surveillance through apps or dictating what they wear. Controlling or coercive behaviour is defined under section 76 of the Serious Crime Act 2015 as causing someone to fear that violence will be used against them on at least two occasions, or generating serious alarm or distress that has a substantial effect on their usual day-to-day activities. 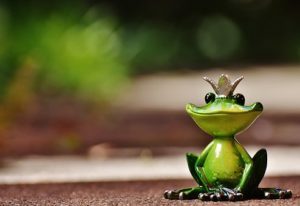 At first, women can be delighted by all the attention – it’s quite seductive because they feel doted on, adds Andrew King of Relationships Australia NSW. It seems innocuous at first, but then turns into something quite sinister. “There’s controlling behaviour in every relationship including good ones – even healthy relationships have some degree of power struggle. But where it’s highly problematic is when there’s no ‘I got my way this time so you get yours the next’,” says Weiss, a former chair of No to Violence which works to prevent male family violence. When emotional domestic violence is occurring, this negotiation does not take place. Rachel Williams, 44, understands what it’s like to live with a controlling and abusive husband. She was beaten, strangled and shot by Darren Williams, but survived to share her story. The physical violence from Darren escalated over the life of their marriage until she left with her two sons to live with her mother after he tried to strangle her in front of the boys. He tracked her down and tried to kill her. Two years on, Rachel is telling her harrowing story in the hope of encouraging other domestic violence victims to leave their abusive partners. Describing herself as “a victor, not a victim”, Williams also shared a letter her former employer wrote for her case, which highlights the domineering, controlling life she was forced to lead under his control. “Rachel was not allowed to work with heterosexual males, she was also not allowed to cut the hair of men or lesbians. Darren’s demeanour was intimidating and we were all afraid of him,” the letter reads. Emotional domestic violence is just as damaging as physical abuse. You don’t have to accept it as a normal part of a relationship.